Details: Q10 | Westcap arranged a 20-year fully amortizing nonrecourse loan through its exclusive correspondent relationship with Sun Life of Canada. The loan is secured by a 55,000 square foot craftsman-style retail & office complex located across the street from the Dana Point Harbor. Details: Q10|Westcap arranged a 10-year term / 30-year amortization life company loan on this 168,000 square foot shopping center anchored by Ralphs and CVS which paid off the maturing CMBS acquisition loan. Details: Q10|Westcap arranged a 10-year term / 30-year amortization loan through a correspondent life insurance company for the acquisition of this 140,000 square foot Class-A multi-tenant office building in northwest Austin, TX for a repeat California-based borrower. Details: Q10 | Westcap originated the Credit Tenant Lease (CTL) financing for the acquisition of a newly constructed 275,000 square foot outpatient facility located in Austin, Texas that is 100% leased to the Department of Veterans Affairs for 20 years. The loan allowed for an un-insured residual value at the end of the lease term, significantly increasing borrower cash flow and lowering transaction costs. The CTL lender delivered on their rate lock despite extreme market volatility during the closing. Details: Q10 | Westcap arranged a 15-year fixed rate, non-recourse loan with a 30-year amortization schedule through a correspondent Life Insurance Company for a repeat borrower on a good quality multi-tenant industrial park containing approximately 160,000 square feet of net rentable area. Details: Q10|Westcap arranged a 10-year fixed rate, non-recourse loan on a new construction, state-of-the-art Medical Office in Aliso Viejo, CA for a repeat borrower. This loan paid off an existing construction loan and funded upon stabilized occupancy through one of Q10|Westcap’s correspondent Life Insurance Company lenders. Details: Q10 | Westcap arranged a 15-year fixed rate loan with a sub-4% interest rate through a correspondent life insurance company for a repeat borrower on a six building, multi-tenant, office complex containing approximately 75,000 square feet of net rentable area. The properties are well located in the affluent desert community of Indian Wells. Details: Q10|Westcap arranged long term financing on a best-in-class, new construction, corporate headquarters in Newport Beach, CA for a repeat client. 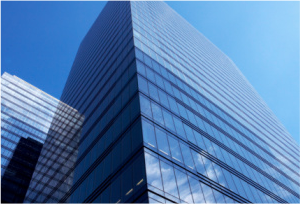 The loan funded through Q10|Westcap’s exclusive correspondent relationship with Sun Life Financial who was able to close on the loan before the property had achieved stabilized occupancy. Details: Q10|Westcap arranged acquisition financing on a 100% leased, Class-A office property in Englewood, CO for a southern California based developer. This was the second loan in the Englewood office submarket that Q10|Westcap closed for the owner. The lender was able to overcome significant rollover risk with a single tenant occupying 83% of the NRA whose lease had less than 5 years remaining at loan closing. Details: Q10|Westcap arranged acquisition financing on a strategic value-add acquisition of a three building, multi-tenant, office complex containing over 300,000 square feet of net rentable area. The lender understood the sponsor’s vision of stabilizing this underperforming asset based on an impeccable track record with similar projects. Details: Q10|Westcap arranged acquisition financing on a multi-tenant industrial/flex park located in Corona, CA for a repeat borrower. The lender was able to move quickly to accommodate the borrower’s off-market acquisition of this asset and funded the loan in 34 days.